This level have normal difficulty and you need to play with few tricks to complete this level. 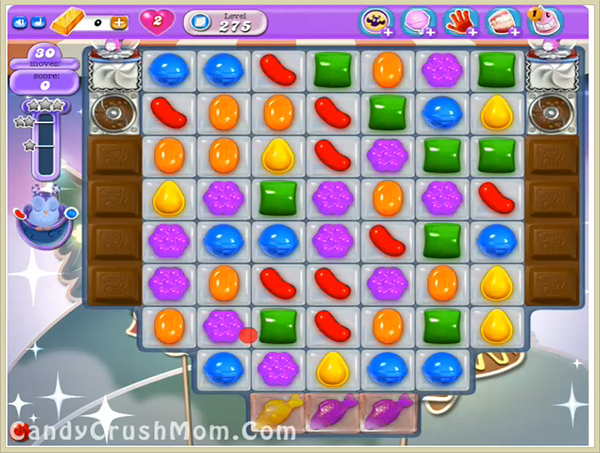 First try to play near to chocolates and then break jellies with normal candies. Then wait till 15 moves remaining to have a moon struck and make special combos that will help to break all jellies within 30 moves. We completed this level with 421720 score using same trick that we share above and got few special candies like colorbomb that help to complete this level with three star score at the end.